A vibrant and growing field of discussion in contemporary New Testament studies is the question of `apocalyptic' thought in Paul. What is often lacking in this discussion, however, is a close comparison of Paul's would-be apocalyptic theology with the Jewish and Christian apocalyptic literature of his time, and the worldview that literature expresses. This book addresses that challenge. Covering four key theological themes (epistemology, eschatology, cosmology and soteriology), J. P. Davies places Paul `among the apocalypses' in order to evaluate recent attempts at outlining an `apocalyptic' approach to his letters. 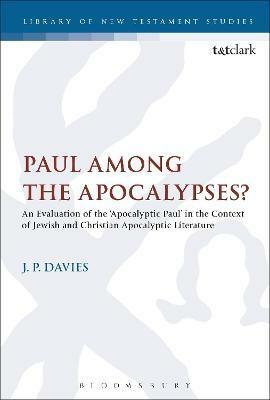 While affirming much of what those approaches have argued, and agreeing that `apocalyptic' is a crucial category for an understanding of the apostle, Davies also raises some important questions about the dichotomies which lie at the heart of the `apocalyptic Paul' movement. 1. Perplexed by the `apocalyptic Paul'? J. P. Davies is Tutor in New Testament at Trinity College, Bristol, UK.